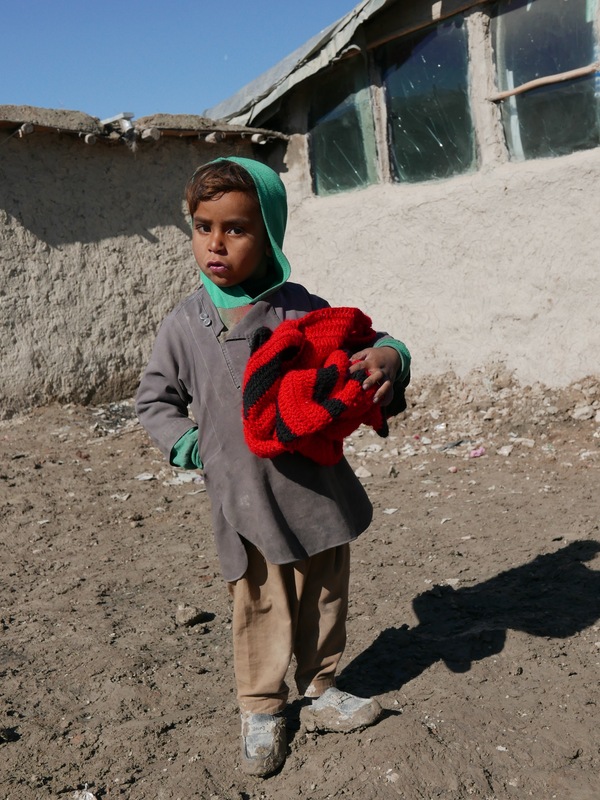 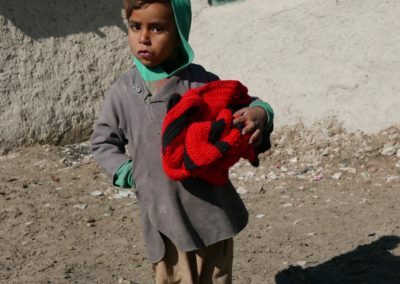 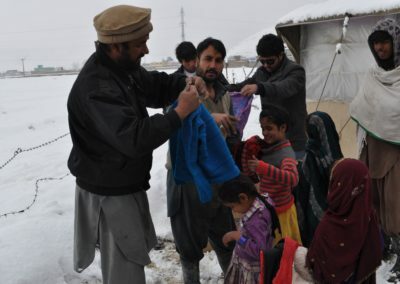 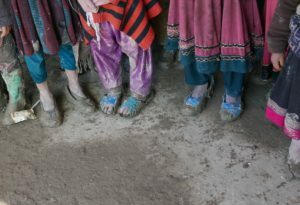 Life is harsh for Afghan working street children especially during sub-zero winters and many children are without proper footwear as well as having only think cotton clothing. 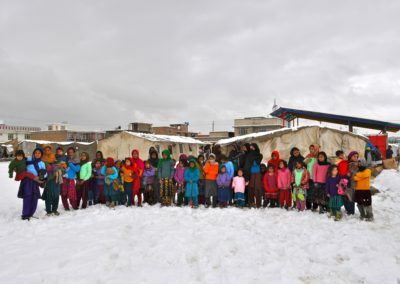 They face incredible hardships during the frigid winter months. 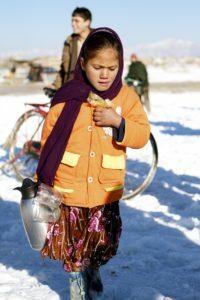 One young girl who couldn’t work outside for two days because of the cold was forced to go without food at for those two days. 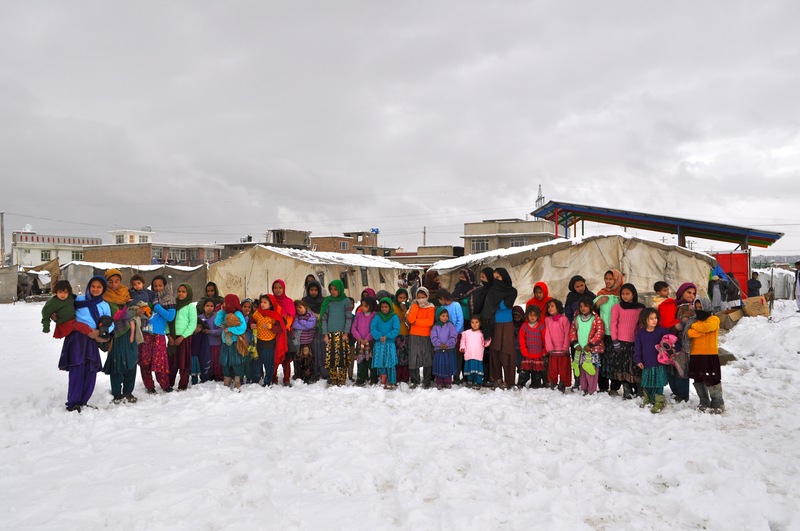 Going to school in unheated classrooms is impossible. 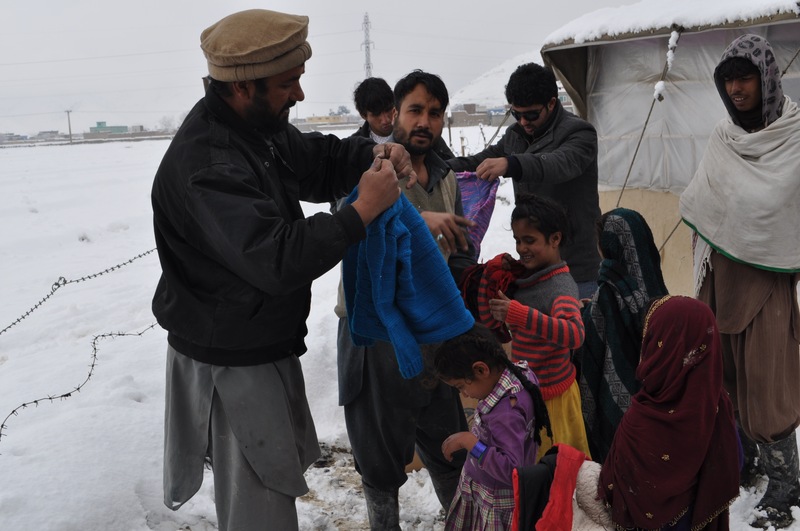 Despite these conditions, the children are still expected to work outside during the winter to provide for themselves and their families. 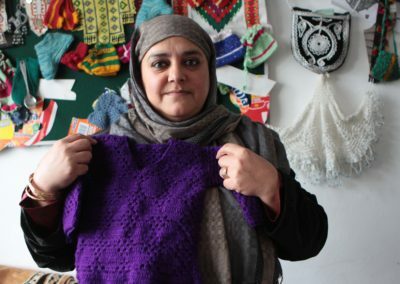 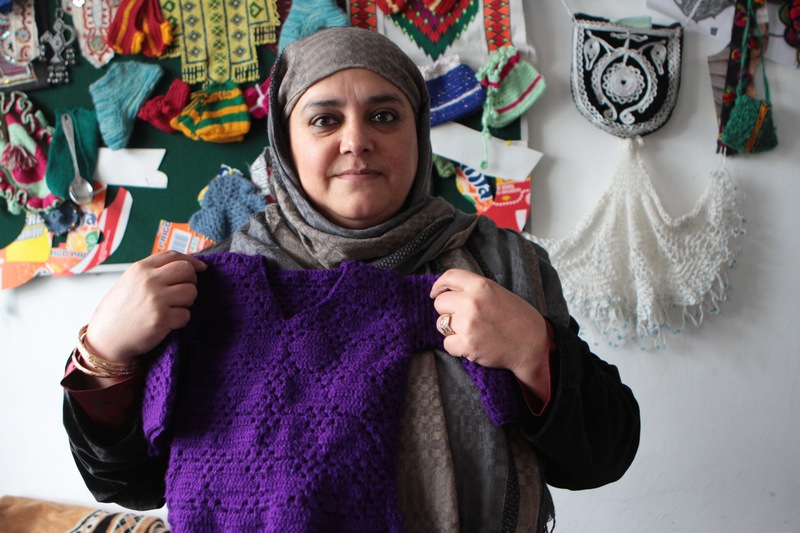 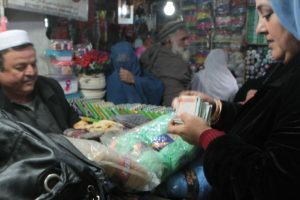 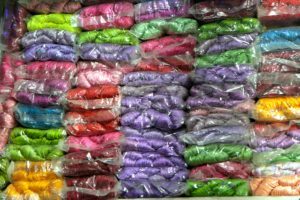 ZAANHA purchases yarn at the local bazaar in Kabul thus giving business to the shopkeeper, which allows him to pay his rent and support his family. 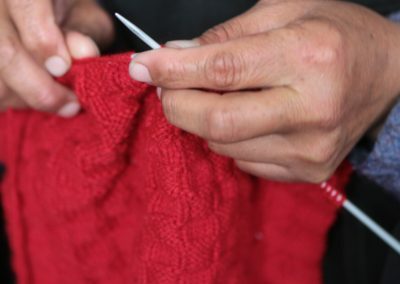 $7.50 buys yarn for one sweater. 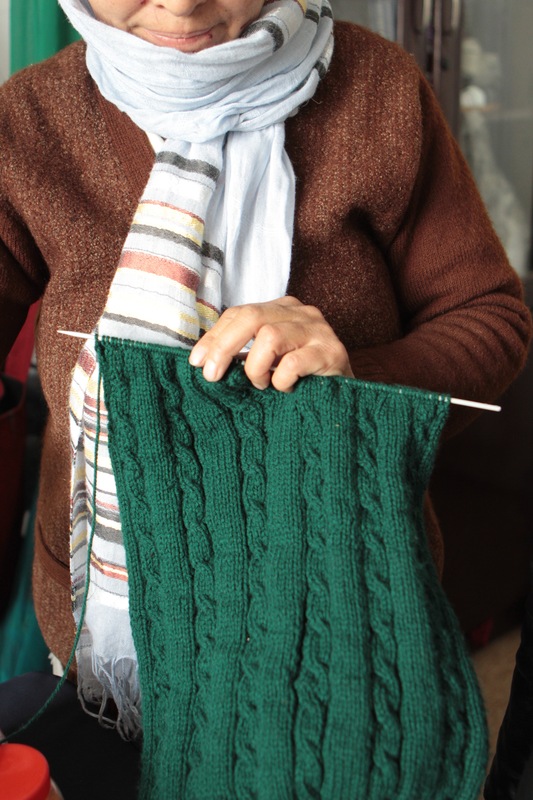 The yarn is taken back to a center for working street children where there are women and girls who are without jobs and know how to knit. 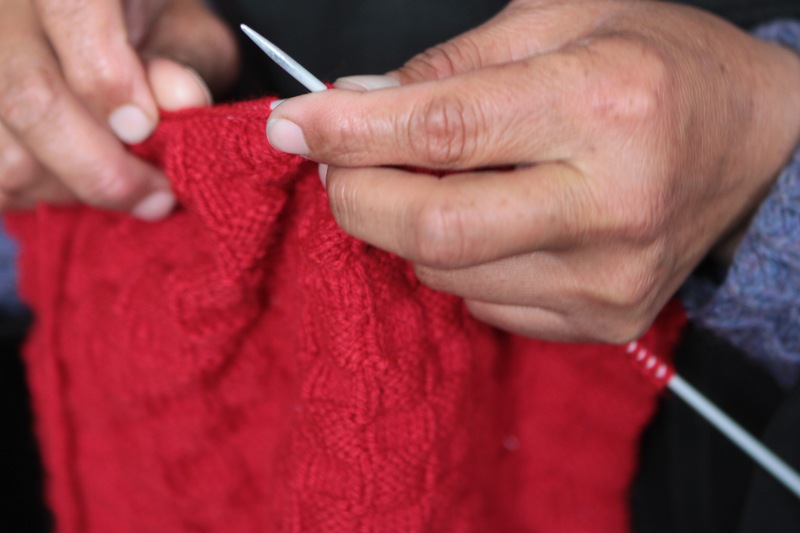 The center provides a warm and safe environment where the women can knit sweaters for which they are paid $10 a sweater. 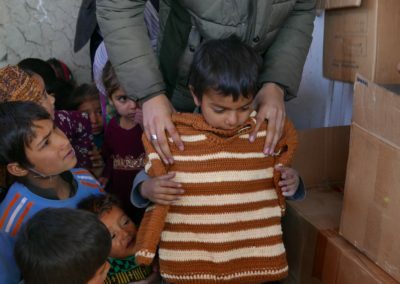 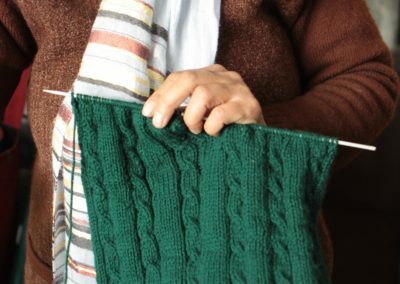 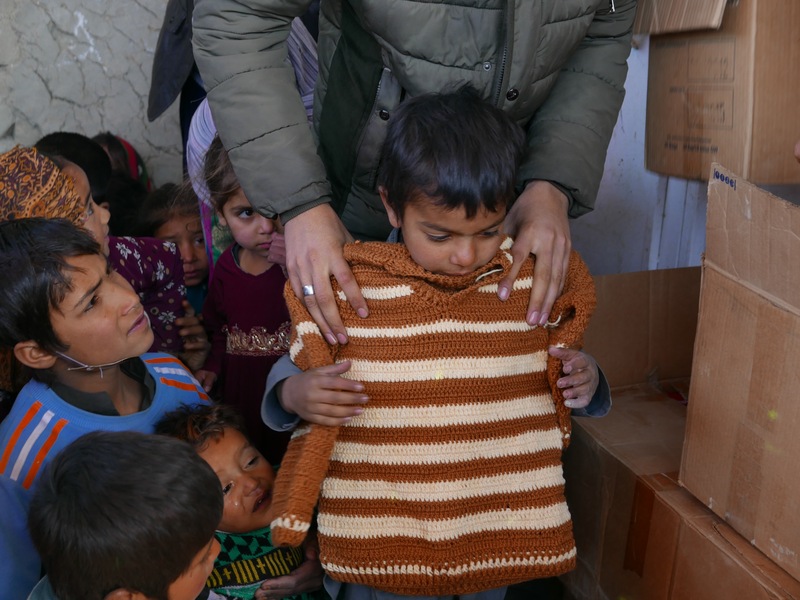 And it is not only the yarn sellers, the women and girls who knit and the working street children who benefit– The $20 donation for one sweater affects the family members of all of these people — approximately 30 people’s lives are impacted by the purchase of one sweater.